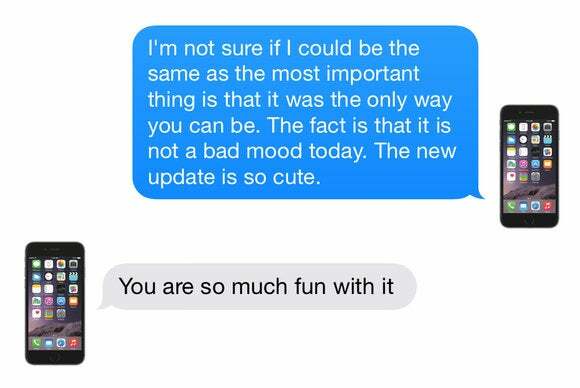 Who knew predictive text could see into your soul? If the new QuickType keyboard had been around when I was in middle school, my output of moody, tortured, nonsensical poetry would have been…OK, only slighty greater than it already was. But with less forced iambic pentameter. Yes, Apple’s new keyboard in iOS 8, aka QuickType, attempts to guess what you’re typing not just as you tap out letters, but even before. Depending on the context and the words you tend to use (and overuse), sometimes it’s uncannily good at guessing what you’re about to say next. Other times it’s just funny. And if you eschew typing altogether and just pick from the three suggested words to string together sentences—that came from inside the iPhone!—the results can be pretty darn great. 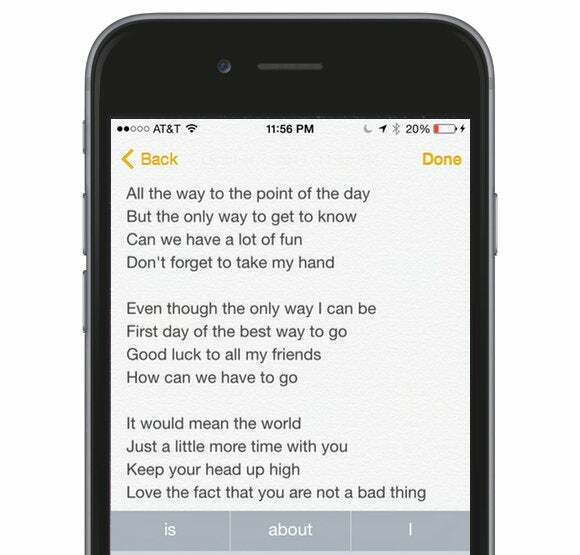 A Twitter and a Tumblr sprouted before iOS 8 even got out of beta, to share poetry created by QuickType users. But they’re both lying fallow at the moment, and we want to bring the phenomenon back, since we’ve had fun playing with it around the office—even if our poems tend to get a little emo. When you start each line with "The," the possibilities are wide open. Try to give your poems arbitrary parameters to see what happens. 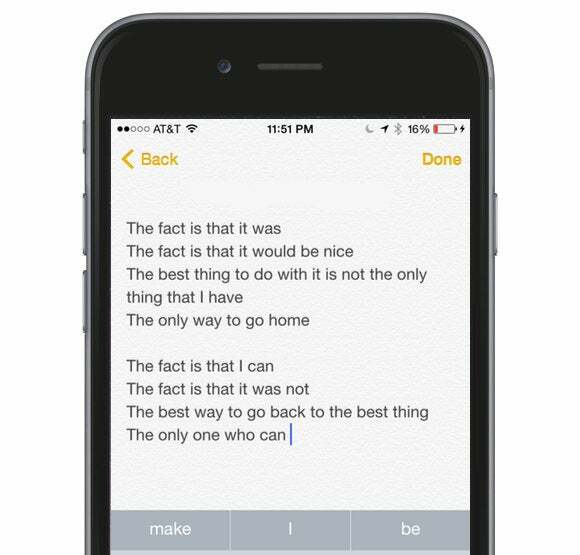 The words "The," "I," and "I'm" were always suggested to me before I started typing in this session in the Notes app, so by starting each line with "The" in the poem above, and "I" or "I'm" in the poem below, I get some repetition in the structure that makes it sound extra poetic—even though QuickType poems are the laziest form of poetry there is. My iPhone sounds a little insecure in this one. Buck up, buddy! But you don't have to start with one of the suggested words! In this poem, I typed one letter at the start of each line—just a single letter—and then chose one of the two words suggested next. The results aren't bad. Remember to cut each line off after a bit, too. After a while, the run-on sentences will cramp your poetry's style. Now I know my ABCs. Next time won't you QuickType with me? OK, let's see what you got. Bonus points for pulling off a haiku.